Narsing Village Resort, Ravangla is a fresh touch in your journey. 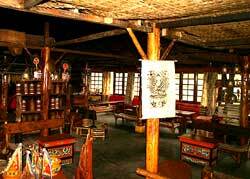 The resort is located at a distance of 3 kilometers from Ravangla in South Sikkim on the Gangtok Pelling highway at an altitude of 6800 ft. 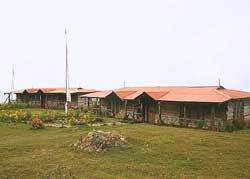 The resort is located in such a beautiful place from where you can visit the sacred monasteries of west and south Sikkim. 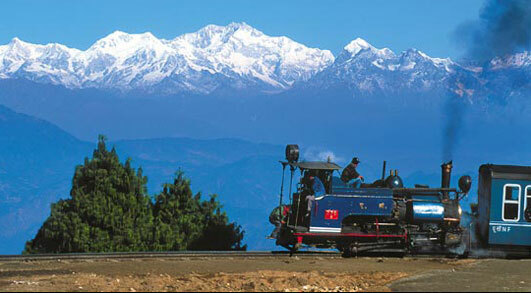 The environment of the resort is tranquil as the spectacular beauty of the countryside of Ravangla surrounds it. The views of Mt. Narsing, Mt. Jopuno and Mt. Kabur are the extra attractions of Narsing Village Resort. 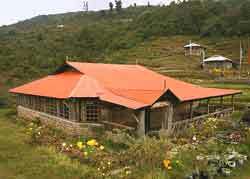 The Narsing Village Resort is considered as one of the best resorts of South Sikkim. You will be provided every type of amenities, which is desirable from a resort of this standard. There is a lot of open space in the resort and also the opportunity to get involved in both indoor and outdoor games. There are two restaurants in the resort where you will be provided all type of Indian, Chinese and Continental delicious items. The well-stocked Bar of Narsing Village Resort is also ready to keep you warm. The rooms of each standard are capable to make you feel an in-home feeling. The Safari Tents also have carpeted full-bedded sections. The traditional skills of woodcarving and Thangka painting may also be seen in this resort. The tourist may opt moderate treks to the differebt viewpoints like Meenam (3200 meters) and Tendong (2575 meters). Tariff valid till 30-09-2013. Updated on 19-07-2012.